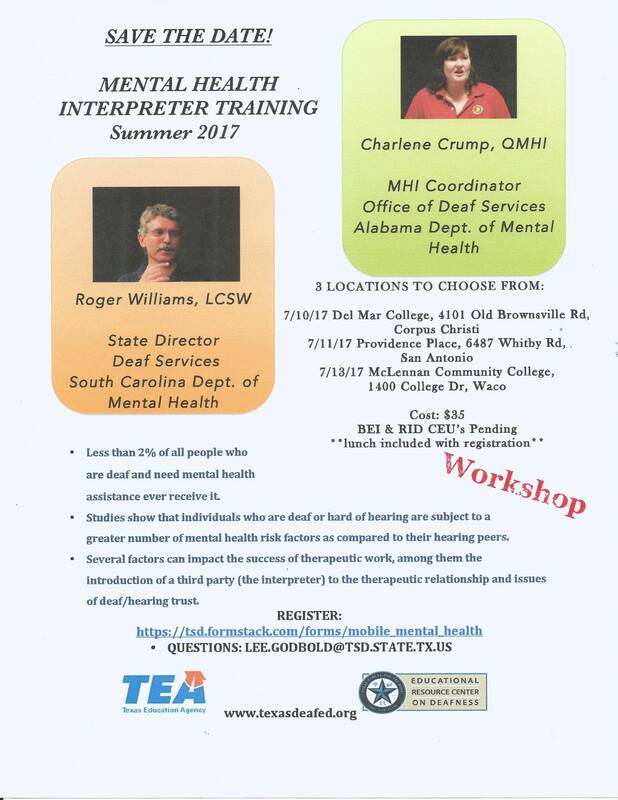 Mental Health Interpreter Training on the Road! The workshop will cost $35 and lunch is included with your registration. RID and BEI CEUs are pending. Please share the attached flyer with your local interpreting communities!